I love playing with makeup and putting in on, but removing it was quite a nightmare for a while. Makeup removers were either too aggressive, oily, irritated my skin … And to make matters worse I failed to remove all of makeup from my face. Fortunately for me, our Maestra has similar demands, so there is high probability that I’ll love the same products she favors so I don’t have to test 100 products to find 1 good one anymore. Thank you Maestra, you’re my lifesaver. My basic makeup removing routine has been pretty much the same for few years now – some products changed over the time but the core remains the same. I soak 2 cotton pads (I like Nivea and Balea ones) with eye makeup remover. For 10-30 seconds I press soaked cotton pads onto my eyelids. Then I gently swipe off the mess. I never rub makeup off as even the slightest scraping motion causes my capillaries to break … I still have “lovely” reminder from my early makeup days. If I have on more heavy duty foundation, I use the clean side of cotton pads to remove most of it off. To remove rest of the makeup, I use either cleaning gel or foam. If there are still traces of mascara/gel liner I soak cotton bud with eye makeup remover and gently remove dirty patches. Some toner or face cream and I’m done. 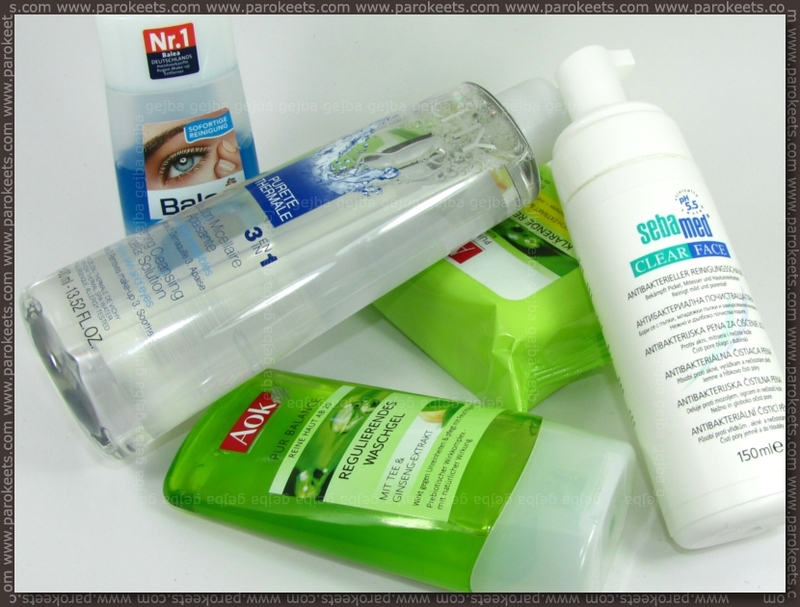 What changed couple of years ago was the type of eye makeup remover – I switched from standard ones to micellar solutions (toner/water – however they are called in your part of the world). We have few others available in my country but I love 400ml (13.52 fl.oz.) bottle with pump and it cleans thoroughly so I stick with it. It has faint scent, but it doesn’t bother my nose or my skin. I was surprised to see that this water like substance cleans so well. It can remove most of the beauty products with ease. And bonus – it’s great for removing excess hair color from the face … I’m a little bit clumsy with application. So I asked Nina from Ars Cosmetica for short explanation of this phenomenon. 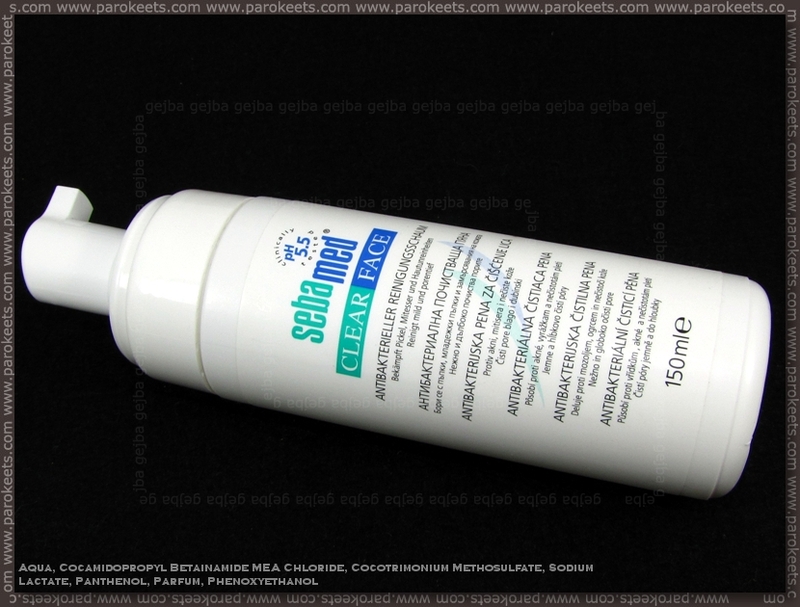 Micelle soloutions contain very gentle surfactants (emulsifiers), which standard toners normally do not include. These extremely gentle surfactants cleanse the skin effectively, because its structure eliminates all types of impurities. 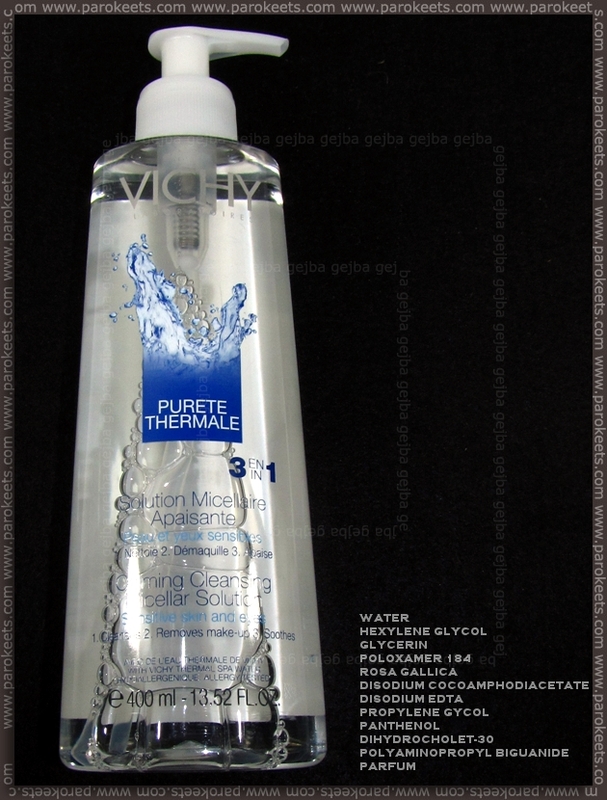 A major plus for micelle waters is extreme tenderness to the skin, even to very dry and sensitive. 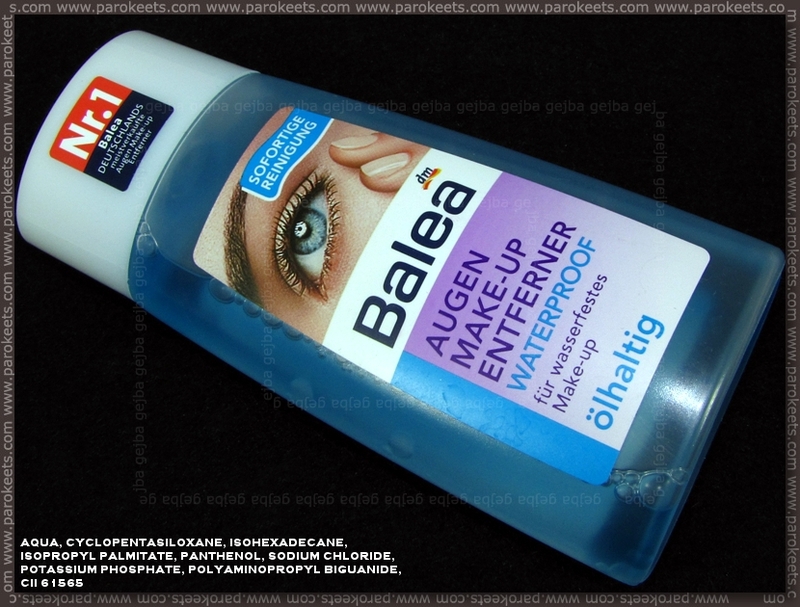 This it where I switch micellar solution from step 1 with Balea 2 phase waterproof eye makeup remover. I shake it well, soak the cotton pad and proceed as I would normally. I never encountered makeup product this baby could not remove. :D It doesn’t irritate my skin and gel removes all the residual oiliness so I can afford to gently swipe makeup off and not worry about greasy effect. I saw this remover was reformulated and I sincerely hope it’s still as good as the old version. Now this is my favorite washing gel by far. 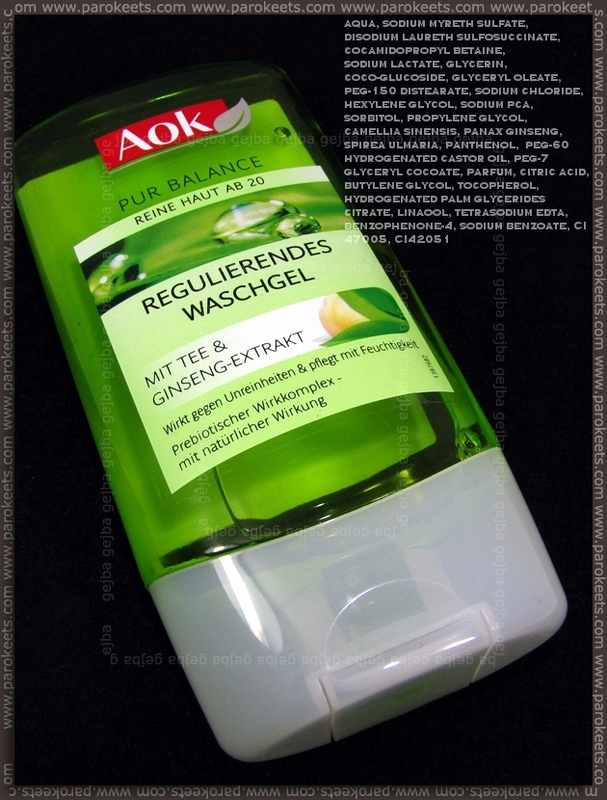 I do like white AOK gel also, but not as much as the green one. It is possible to skip step 1 and 2 and simply use more gel, massage face with it for ~20 seconds and remove it with water. BUT and this is huge but – if I do that all the time I start to seriously lose lashes. And by that I mean you can see wholes in my lash line. This gel is very thorough and makes skin squeaky clean, but it does dry it out so some kind of toner/cream/serum is almost a must … especially in fall/winter time. Sometimes I get bored with AOK wash gel and switch it with Sebamed foam just for fun of it. This one is not as drying but has even worse effect on my eyelashes. Not to mention is costs more than AOK and I use it up quicker. Price: I think this is little bit more than 6 EUR, maybe 7 EUR. 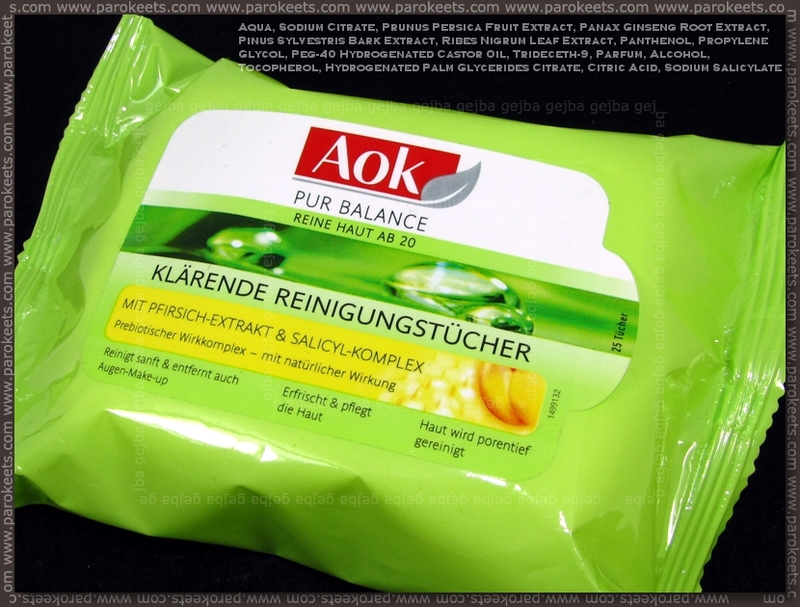 I almost never use these wipes as primary makeup remover, but they do get handy if I have to remove only part of my makeup and I’m not at home or to get rid of all those overlapping swatches on my hands after I come out of drugstore. You get 25 wipes in package. What is your makeup removing routine like? Do you have favorite gel or foam that would be suitable for my needs? Glede na to, s kako strastjo sovražim odstranjevanje mejkapa, zelo rada preberem take poste. :yes: Če bom iskala kakšne nove izdelke, zdaj vem, kje pogledati. Hvala za tako temeljito objavo! Edino dvofazni odstranjevalci za oči mi ne odgovarjajo, ker se mi od njih solzijo oči. Ampak odkar sem odkrila micelarne raztopine, jih ne pogrešam. Konec dober, vse dobro. Tudi jaz imam zelo občutljivo kožo in mi kar nekaj izdelkov za odstranjevanje make-upa ne ustreza. Še posebno imam težave z dvofaznimi odstranjevalci ličil za oči po katerih na vekah skoraj vedno dobim lišaje :ermm: . Kar nekaj časa sem za odstranjevanje ličil za oči uporabljala Avene gel za oči za občutljivo kožo. Gel je bil zelo nežen zato je bilo všasih zelo težavno odstraniti kakšno bolj obstojno maskaro. Trenutno za odstranjevanje ličil uporabljam mleko za odstranjevanje ličil za občutljivo kožo (Face & Eye) od Garniera linija Essentials, ki mi zelo ustreza pa tudi zelo drago ni. Zraven uporabljam tudi robčke za odstranjevanje ličil in sicer kakšne za nego majhnih otrok prav tako za čiščenje obraza uporabljam enega od Bubchen gelov. Mi je pa zanimiva predstavljena vodica in jo bom (kljub malo višji ceni) preizkusila. Uh, ja – meni so bili všeč Ombia plahte (Hoferjevi robčki za telo) – krasno nežna, a temeljita zadeva. Samo kaj, ko je LE, pa še ogromni so. Odličen in težko pričakovan post.